Christine studied with Janet Craxton at the Royal Academy of Music and was principal oboe with Cape Town Opera Orchestra. She gave concerts throughout Southern Africa and was an SABC recording artist. 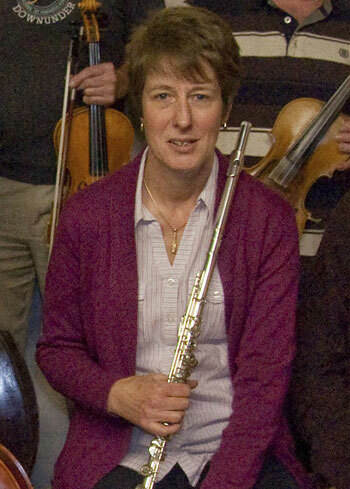 From 1995-2010, Christine taught woodwind in Northamptonshire schools. She is principal oboe with Leicester Symphony Orchestra and performs with the Helix Ensemble, University of Leicester Sinfonia, The Really Big Symphony Orchestra, The Marches Oboes, and Daventry Oboe Trio. Memorable are concerts with conductor Nicholas Daniel, and performing in Compiègne, France. 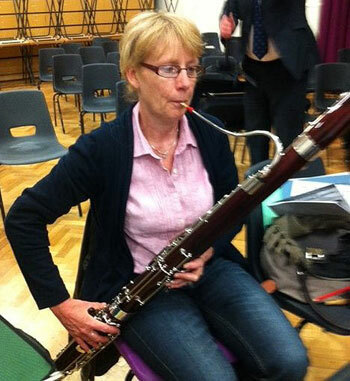 Christine chairs the British Double Reed Society teachers’ forum, and is a Church Worship band member. She plays Lorée oboe, oboe d’amore, cor anglais and bass oboe. Christine is married to Alan, the LSO bass trombone player, and they have two grandsons, one is almost 8 and the other 3 months. From a young age I would blow down any tube or piping that I could pick up. I then saw a French Horn being played at a concert and pleaded to be allowed to have a go. Consequently I started playing the Horn aged 9 and am still doing battle with it over 40 years later! I joined the LSO when I was studying at Leicester Polytechnic and other than a brief period when I lived in London have been a regular member ever since. I play in many local orchestras and can often be found in theatres playing in the ‘pit’ for amateur productions. One of my best memories of the orchestra was playing Elgar’s 1st Symphony in De Montfort hall then hearing the performance broadcast on Radio Leicester. Experiences with the National Youth Orchestra of Gt. 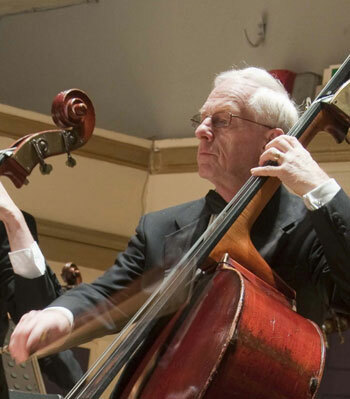 Britain, studies as a junior exhibitionist at the Royal Manchester College of Music and youth orchestra experiences in North Staffordshire prepared me for my first concert as a double bass player with the Leicester Symphony Orchestra in November 1962. I made Leicester my home and taught Physics and Science in local schools. Leicester was a good base to travel from to play in other orchestras such as the Coventry Symphony and the Warwickshire Symphony Orchestra. There were also many opportunities to play in shows at theatres such as the Belgrade in Coventry, the Palace in Newarke, Loughborough Town Hall, Hind Leys in Shepshed, the Haymarket and the Little Theatre in Leicester. Double bass players have always been in great demand. Although an experienced player, I find that there is still much to learn about bowing technique, solo work and new orchestral repertoire. So one never stops practising. I was born and bred in Leicestershire and my musical education was with the Leicestershire School of Music from the age of eight. I lived for Saturday morning orchestra rehearsals and made many friends. The highlight of this time was a tour of Italy with the LSSO in 1980. I then went to Leeds to study music. My first instrument was the piano (with the violin a close second) and I studied with Rene Waterman who was completely inspiring. Having gained a BA Hons degree I returned to Leicester. I worked at the Goldsmith Music Library, supplementing this with some private instrumental tuition and was also invited to teach at Nevill Holt Preparatory School by Cliff Hutt who became a friend and mentor. I then became a Registrar of Births Deaths and Marriages, keeping music as a hobby. Later, having left work and had two children, I returned to teaching at Montrose Primary School where I have now been for twenty years teaching the piano and various stringed instruments! 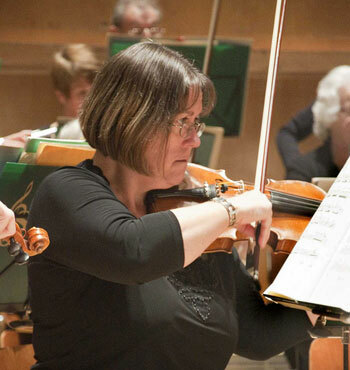 I have been a member of the Leicester Symphony Orchestra since 1985 and became principal second violin in 1994. I also play with the Bardi Symphony Orchestra and have been found in many orchestra pits over the years – the Little Theatre was my second home for a while! 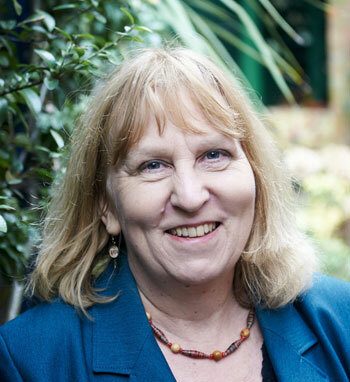 Shelagh Thomson first began playing with the Leicester Symphony Orchestra at the age of sixteen as a string player. She still plays her violin but has defected, within this orchestra, to playing the bassoon as a member of the woodwind section! In her professional life she is the Headteacher of a Leicestershire Primary School and thoroughly enjoys the many challenges this brings. Shelagh has recently become involved in the work of a charity supporting the work of schools in Zambia (The U Foundation) and as a result completed the London to Paris cycle ride in aid of this charity in 2013. 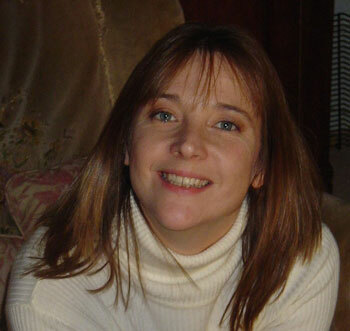 Karen is a music Graduate who joined the Leicester Symphony Orchestra about 30 years ago. She started playing the flute at the age of 8 and was a member of the Leicestershire Schools Symphony Orchestra when Eric Pinkett was the Musical Director. Karen then went to the London College of Music (Principal William Lloyd Webber) for 3 years, being taught by Rainer Schuelein, before returning to Leicestershire to work as a self-employed flute teacher. As well as being Principal flautist in the Leicester Symphony Orchestra, Karen is also a regular player for many other musical organisations. 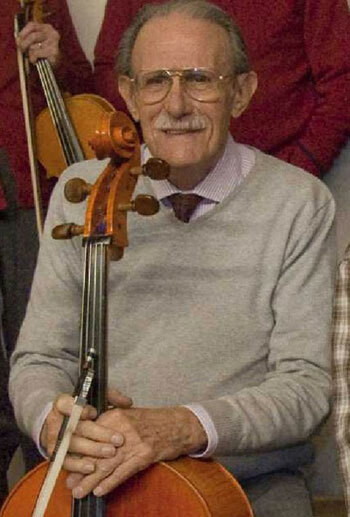 Hails from the West of Scotland, “came to Leicester to visit his sister and lost the ‘return’ half of his ticket”, joined the Leicester Symphony Orchestra in 1973, having previously played in the T. A .Band of the 4th/5th Leicestershire Regiment and County Symphony Orchestra (now defunct), was principal Clarinet in the ‘Bardi’ Orchestra for 20 + years, has played in the ‘Graff’ Orchestra and ‘Orchestra da Camera ‘ plays in Theatre Pit Bands/Orchestras at various venues in the locality, as disparate as ‘Curve’ Leicester, ‘Belgrade Theatre’ Coventry, ‘Palace Theatre’ Newark and Buxton Opera House. Currently, Visiting Clarinet and Saxophone Tutor at Loughborough University. 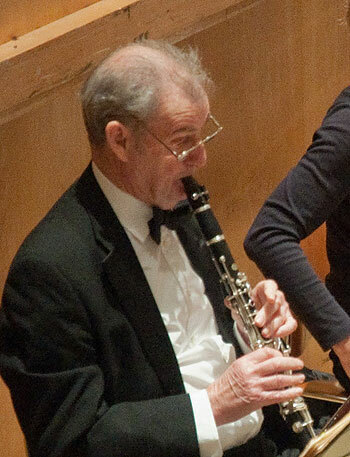 Dan Saunders’ first experience of playing with LSO was the cor anglais solo in Dvorak’s “New World” Symphony, whilst in his final year at Leicester Medical School. He learnt the oboe at school in Hertfordshire and was awarded an oboe scholarship whilst at medical school. Training took him away from Leicester to Birmingham, Cambridge, Leeds and Great Ormond Street. 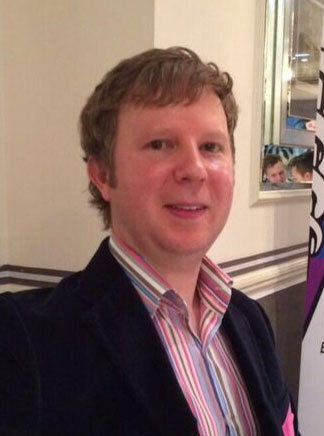 Dan is a consultant in clinical oncology and provides specialist radiotherapy for children with cancer from across the East Midlands. 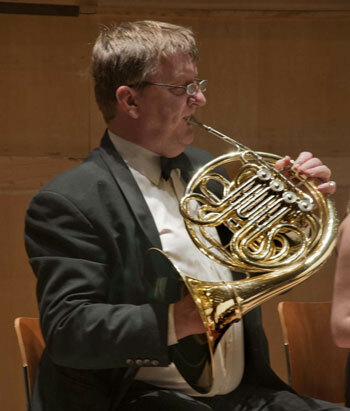 During his medical travels around the country, Dan has played for the Hull Philharmonic, was principal oboe with West Yorkshire Symphony Orchestra and Sinfonia of Leeds from which he formed the Summerhill Wind Quintet. As well as the LSO he also plays for the Helix Ensemble and the Med Chi Philharmonic. I started playing cello at age 12, quite by accident as it was the only instrument left when my school formed a new orchestra, but really took to it and have continued playing as a hobby ever since. Music has been such a huge and enjoyable part of my life, playing in numerous orchestras and chamber groups whereever I happened to be living – Wolverhampton, Cornwall, Worcester, Kettering and Leicester. My life with LSO started in November 1982 when I was invited to play for their 60th anniversary concert and I’ve been a member ever since. I joined the Council of Management in October 1989, was ticket secretary from 1991 until July 1997, when I took over as Chair, and have been principal cellist since 1996. As of July 2016 I am standing down as Chair but will continue to support the orchestra in a less prominent role. I have had great satisfaction seeing the standard and the health of the orchestra improving during my time with LSO. There have been so many memorable moments with LSO that it’s difficult to pick out a few, but highlights certainly include Dream of Gerontius plus the overseas tours, especially to Poland & Czech Republic. Interestingly I do just manage to have a life outside LSO: married to Sam, have 2 sons and 3 grandchildren. Other hobbies include bowling, walking with our dog Hugo and travel. I’ve been retired 6 years and never been so busy! 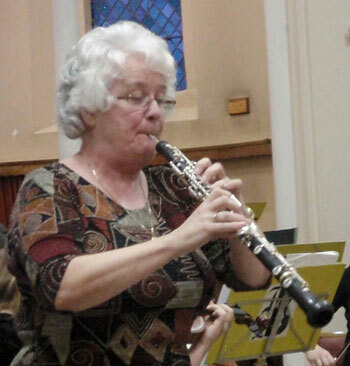 Ailsa has been a member of the Leicester Symphony Orchestra for several years and she plays the flute and piccolo. She started playing the flute at the age of 12 and as a teenager became a member of the Nottinghamshire County Concert Band and Nottingham Symphonic Wind Orchestra. She went on to study for a degree in music and currently works as a flute teacher in an independent school in Leicestershire. Ailsa lives in Nottingham with her two daughters, her husband and their rescue dog ‘Angel’ and when she is not involved in anything to do with music or being a taxi service for her children, she enjoys running and taking the dog for long walks in the countryside. 29th July 1981 Fleet Street, 11.00am: The order for the royal salute, clatter of hooves, wave of a distant hand and that’s it – Lady Di’s wedding, the high point of my RAF band service career. I had the honour of participating in the Lord Mayors Show, Service of Remembrance and the Royal Tournament. The expression after the Lord Mayors show refers to the cart collecting equine contribution to the proceedings; a not insignificant amount was first collected on the highly polished boots of the 3rd horn. I served just three years, the highlights were as above; most of the time was spent travelling from one freezing parade ground to the next. It was in January 1982 on Swinderby parade ground, the player in front had a 3 inch icicle hanging from his piccolo when I decided a career as a professional musician wasn’t all it was cracked up to be. I moved on – missing the long promised overseas trip when the band joined the Falklands task force a couple of months later. A lifetime selling bicycles in the family bicycle business followed and I continued playing for fun. I joined orchestras in Hemel Hempstead, Derby and more recently in Leicester. All these orchestras had the ambition to play great music and composers such as Mahler are always a great favourite with horn players. We like Mahler because he liked us and wrote such terrific horn parts that sound more difficult than they are; personally I find Mozart and Beethoven much more challenging. All good fun. Having left school aged 16 in ’75 I spent seven and a half years as a military musician, joining the Royal Artillery Mounted Band after a year at the Royal Military School of Music (Kneller Hall), being taught by Patrick Harrild of the LSO. On leaving the army, I then spent two years at Merton Technical College (South Wimbledon) learning to make and repair musical instruments that led to two and a half years working as an Oboe maker for T. W. Howarths in Worthing, after which I moved back to Leicester working with Prudential Insurance. At this point I was also conducting the Syston Royal British Legion Brass Band. 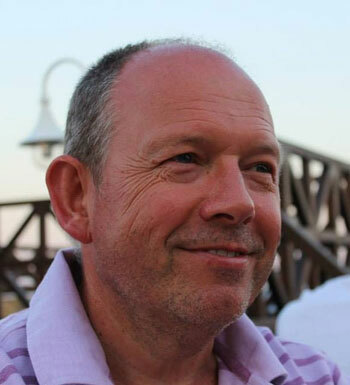 In 1990 I married and immediately undertook a BEd degree at Nottingham Trent University and qualified as a secondary school teacher (Design and Technology), Teaching at Bosworth College (Desford) from 1994 until 2014. 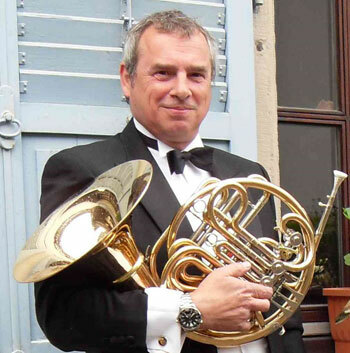 Taking early retirement from the beginning of 2015 has enabled me to set up as a self employed instrument repairer working from home, playing tuba for the Leicester Symphony Orchestra since November 2013. I have played the cello since I was 12 and was fortunate to have free school music lessons and an instrument to borrow. I play in the Leicester Symphony Orchestra and a number of other local orchestras. I have been on the Orchestra’s Council of Management for many years and use the skills from my work in the charitable sector locally to support the Orchestra at Committee level. I have a particular interest in the role of music in management and leadership and was fortunate to be able to examine this in some detail on a Public Sector leadership and management diploma at Warwick University.